New law would punish those who employ, house illegal infiltrators. The Cabinet approved Public Security Minister Gilad Erdan's plan to deal with illegal infiltrators and their abettors Sunday. Minister Erdan (Likud) requested the wording of the decision to apply the amendments to the law also to Israeli towns in Judea and Samaria. The bill approved today by the government on the struggle against illegal infiltration includes, among other things: administrative revocation of the driver's license and vehicle forfeiture of illegal immigrants, minimum fines for illegal infiltration, and the granting authority to cab drivers to demand documents proving that the infiltrators entered Israel legally. In addition, according to the bill approved today by the Ministerial Committee for Legislation, the temporary order to the Entry into Israel Law will be extended for three years, which provides minimum sentences for those who employ or provide housing for people illegally residing in Israel and allows a police commander to close a business order that employs illegal infiltrators for 30 days." 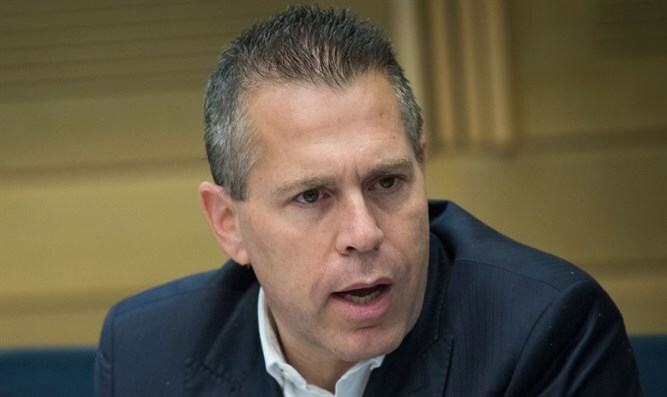 According to Erdan, "anyone who employs illegal infiltrators endangers the lives of Israeli citizens, and the wave of terror has again proven how dangerous illegal infiltrators are in business centers and construction sites. We must severely punish the criminals who are actually the engine of the illegal infiltration industry, so it would not be worthwhile for them to endanger the lives of Israeli citizens in exchange for money."